If you seem to spend half your business life living out of a suitcase in cramped hotel rooms, struggling to find a clean shirt and a square meal without breaking the bank on your expense limits, there is an alternative, so often overlooked by busy PAs and HR departments. 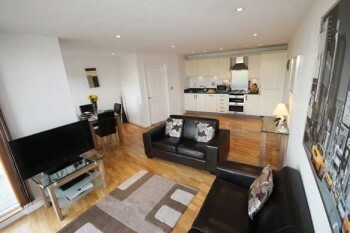 Serviced apartments offer a highly practical and cost-effective alternative to a hotel room. They deliver all the same creature comforts as a hotel but add a lot more space and independence with a fully-equipped kitchen and laundry facilities thrown in. Take the busy commercial centre of Northampton, Milton Keynes or Luton where serviced apartment specialist Cotels has a choice of a number of locations, all right in the city centre. There are one, two and three bedroom options for short to long-stays. Each light and spacious serviced apartment is fitted out in a comfortable homely way with a large screen TV, Sky (sports included) and separate bedrooms with luxury linen sheets and thick towels provided. 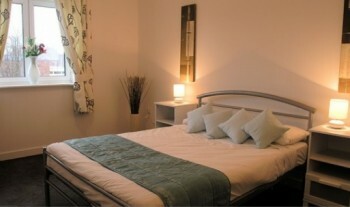 A number of two and three bedroom apartments also have two bathrooms, making them ideal for shared business trips. On the practical side, there’s no need to choose between wearing a used shirt for that important meeting or facing a large bill for hotel laundry. All serviced apartments have washer/dryers, irons and ironing boards so you can make sure you look your best. When it comes to food, the choice is yours. If your budget’s tight, don’t resort to fast food – just pop along to one of the nearby supermarkets and grab a meal deal. 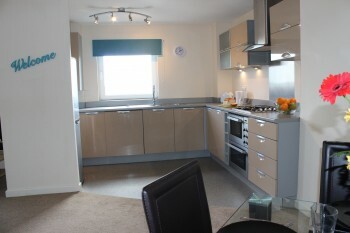 All apartments have their own kitchen with hob, oven, microwave, toaster, kettle, fridge/freezer – everything for even a gourmet meal and there’s a dishwasher to make light work of cleaning up. In no time at all you’ll be sitting in the luxury of your own dining room enjoying a three course meal and a bottle of wine. But if you prefer to eat out, there are a number of fantastic choices of restaurants close by, many with four or five star TripAdvisor ratings. If you’re working away from home, it’s important to have a base where you can focus on your work. With lots of space to spread out, make coffees and rustle up some food, these serviced apartments make the perfect temporary office and Cotels even include unlimited broadband included in the price plus phones that are charged at standard rates – with no hotel surcharge. If you need to arrange a meeting, why not use your apartment? It’s smart enough to impress your colleague or customer and there’s no extra charge, no matter how many meetings you have. So the next time your company books you on a business trip – tell them about Cotels serviced apartments in Northampton, Luton and Milton Keynes. They’ll not only save money, but you’ll be less stressed too.